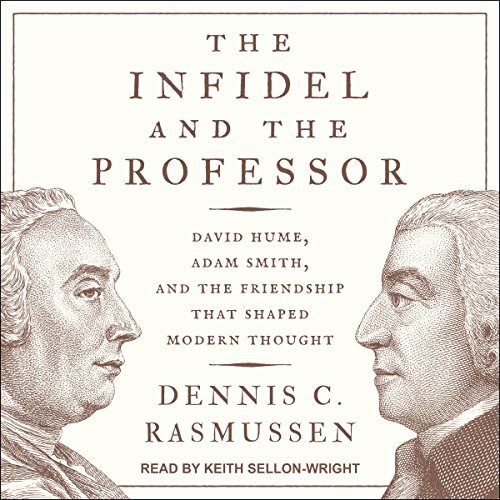 Showing results by author "Dennis C. Rasmussen"
Vividly written, The Infidel and the Professor is a compelling account of a great friendship of two towering Enlightenment thinkers that had great consequences for modern thought. David Hume is widely regarded as the most important philosopher ever to write in English, but during his lifetime, he was attacked as "the Great Infidel" for his skeptical religious views and deemed unfit to teach the young. In contrast, Adam Smith was a revered professor of moral philosophy and is now often hailed as the founding father of capitalism.